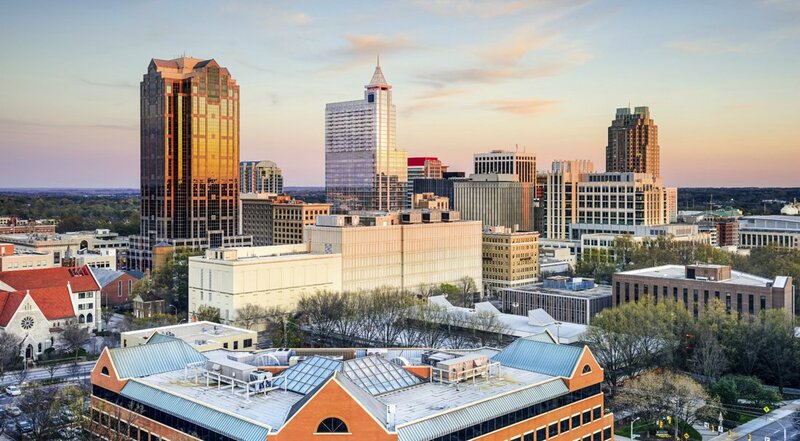 If you desire to live in a diverse cultural hub with a robust job market, strong business community, and highly desirable real estate options, consider buying a home in Raleigh, North Carolina. Part of the innovative Research Triangle, Raleigh is a city bursting with impressive amenities, points of interest and abundant natural beauty. The “City of Oaks” is home to North Carolina State University and a highly educated populace. Other great advantages of living in Raleigh include Raleigh’s Contemporary Art Museum, or CAM as it is often called, as well as the King’s Barcade, the Oak City Cycling Project, and the William B. Umstead State Park, among other points of interest. The William B. Umstead State Park is a 5,500 acre park with great trails for joggers, cyclists and equestrians, as well as fishing spots and campgrounds boasting numerous other recreational opportunities. Additional attractions include the Progress Energy Center for the Performing Arts, located in downtown Raleigh and home to the North Carolina Symphony, as well as the North Carolina Museum of History and North Carolina Museum of Natural Sciences. The urban community of Raleigh is home to around 424,000 residents with a median household income around $57,000. Half of the population of Raleigh commutes 20 minutes or less to work, which is a commute time far less than the national average. In addition to the great attractions listed above, Raleigh also has wonderful real estate options with the median sale price of a home being around $239,000. Homes for sale in Raleigh, North Carolina vary in price depending upon a number of factors including age, size, location and special features of the property. 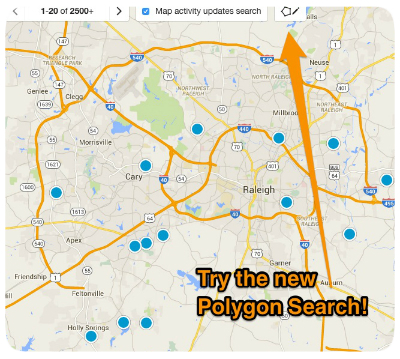 Homes for sale in Raleigh are found in a plethora of remarkable neighborhoods. The Glenwood area inside of Raleigh's Beltline, where Highway 440 circles downtown Raleigh, there are several well-established neighborhoods such as Bishops Park, Cameron Village, Country Club Hills, Five Points, Glen Eden, Historic Oakwood and University Park, to name a few. Homes for sale in the Glenwood area include metropolitan condos and older renovated single family homes. Comprised of approximately 142 square miles, Raleigh is home to numerous other prestigious communities with great real estate options. Midtown Raleigh is just north of the I-440 Beltline, roughly bounded by Millbrook Road to the north, Forest Road to the east and Glenwood/Creedmoor Road to the west. Midtown is both residential and commercial and home to the North Hills and Crabtree Valley shopping centers. East Raleigh extends from New Hope Road to Capital Boulevard and is home to great neighborhoods like Wilder’s Grove, New Hope, Madonna Acres, Lockwood, Longview and Hedingham. West Raleigh is bordered on the west by Cary and lies along Western Boulevard and Hillsborough Street. In West Raleigh you will find North Carolina State University, Lake Johnson and Meredith College, among other points of interest. North Raleigh is diverse, fast-growing and home to both well established and newly built subdivisions. A few noteworthy neighborhoods in North Raleigh include Brier Creek, Crossgate, Falls River, Harrington Grove, North Ridge, Six Forks Station, Valley Estates and Windsor Forest, among many others. South Raleigh is the least developed, by comparison, but still has great real estate options in the neighborhoods of Carolina Pines, Enchanted Oaks, Lake Wheeler, Renaissance Park, Rhamkatte, Riverbrooke and Swift Creek. And finally Southeast Raleigh has great real estate in neighborhoods like Biltmore Hills, Chavis Heights, Emerald Village, Kingwood Forest, Southgate and several others. If you would like to buy a home in one of Raleigh, North Carolina’s remarkable neighborhoods or have questions regarding other real estate options in Wake County, please contact us today. Residential wooded building lot in Greywalls at Trego. Located on cul de sac.